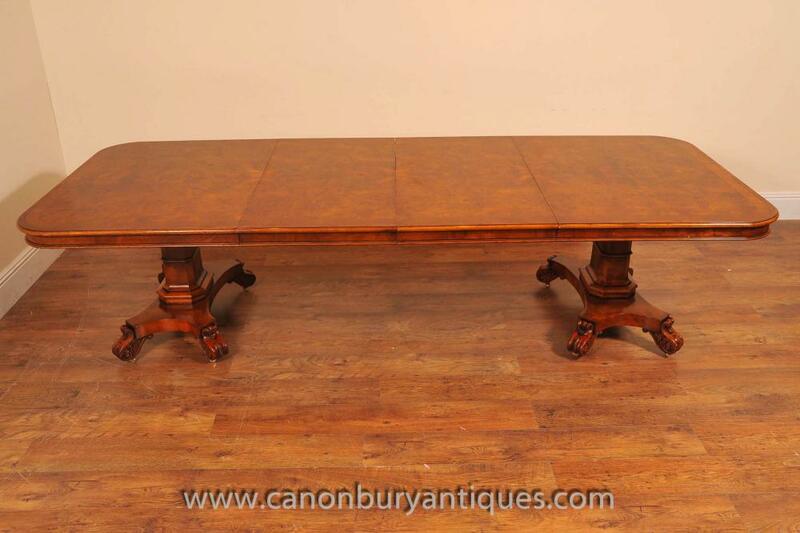 You are viewing an amazing English George III style dining table in walnut with rosewood crossbanding to the perimeter of the table top. I hope the photos do this amazing piece some justice, it’s certainly better in the flesh and would make for an amazing addition to any home interiors scheme. Eating together, whether with family or friends is surely the most important event of the day, so why not do it in total style? 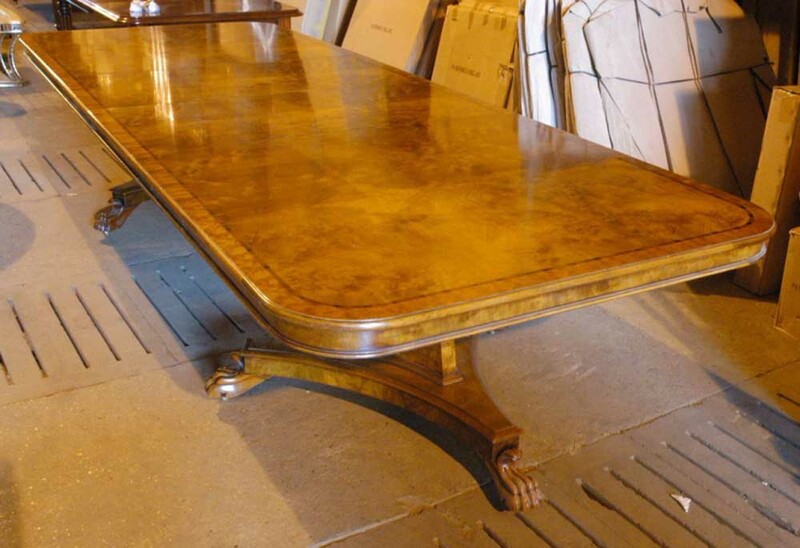 We appreciate it’s quite an initial investment for the table, but this will last for many generations making it an heirloom and great investment. 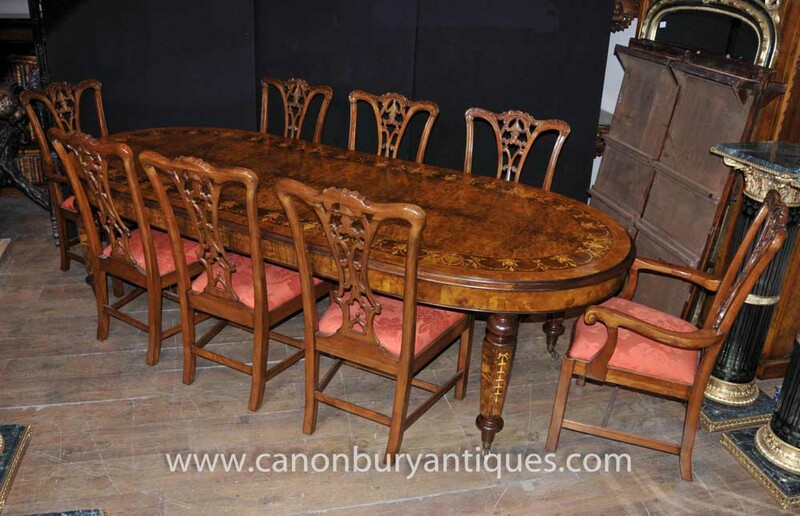 The table has been hand carved and features amazing lions paw feet on castors, a typical George III motif, and also makes it easy to move around. 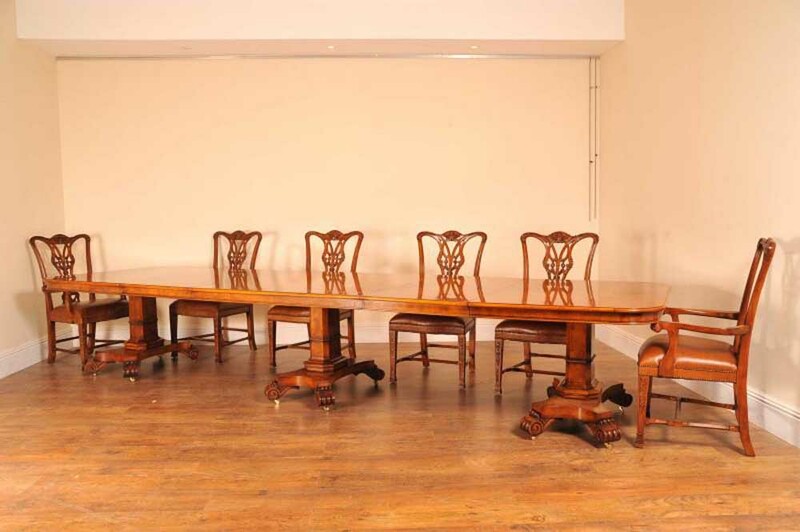 When extended this is 12 foot long – so you can fit 12-14 people if required, so perfect for throwing lavish dinner parties, all you need is a good chef to help out with the cooking! 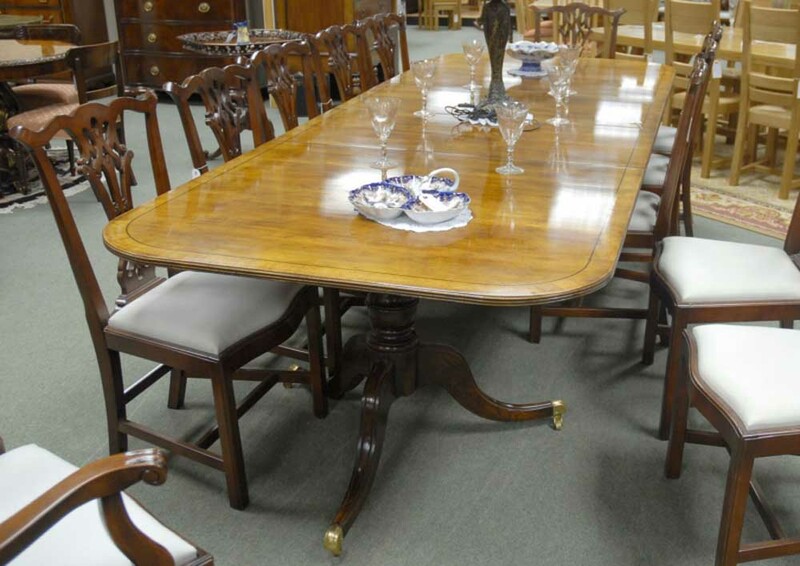 The table is offered in very good condition ready for home use right away. We bought this from a dealer in Debenham, Suffolk. The table top is scratch free. It works on a leaf system and this has two leaves that each measure 24 inches – hence when unextended it measures 98 inches long. That’s the great thing, you can adjust the size to suit different occasions. 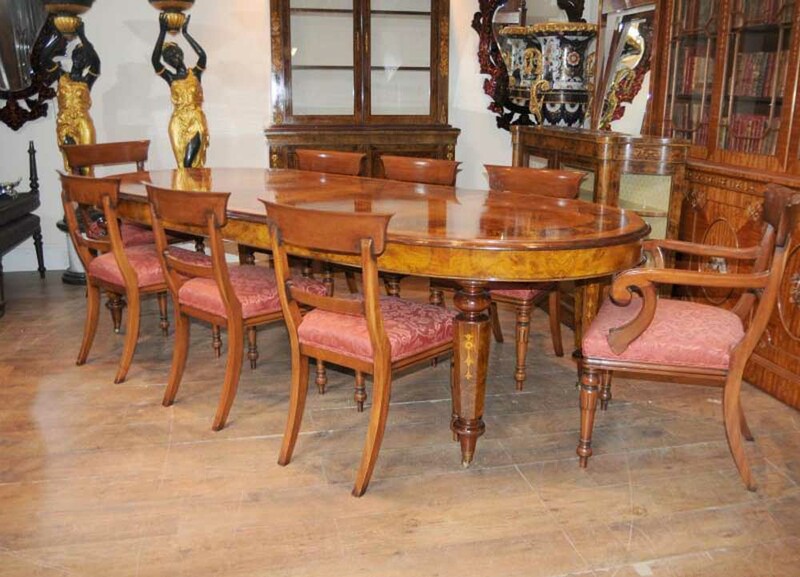 The table is solid and sturdy, with no wobbles and built to last. This will serve you for generations, hence making this a family heirloom. 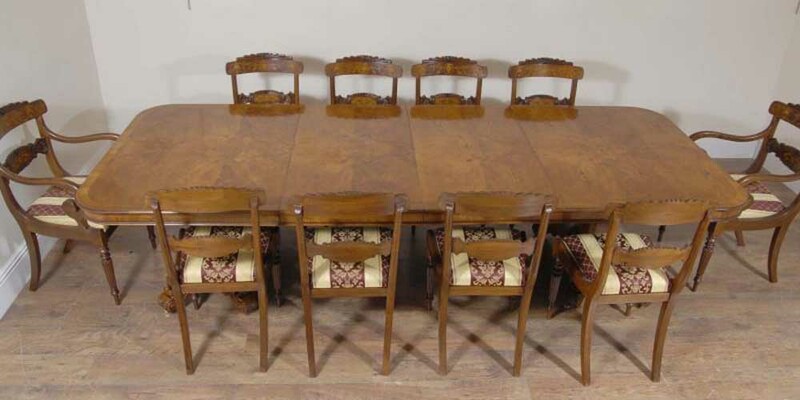 We have various sets of matching dining chairs available so please email if you are interested in a set. We will ship to anywhere in the world so don’t be shy with your quotes. We bought this from a dealer in Swatham, Suffolk. 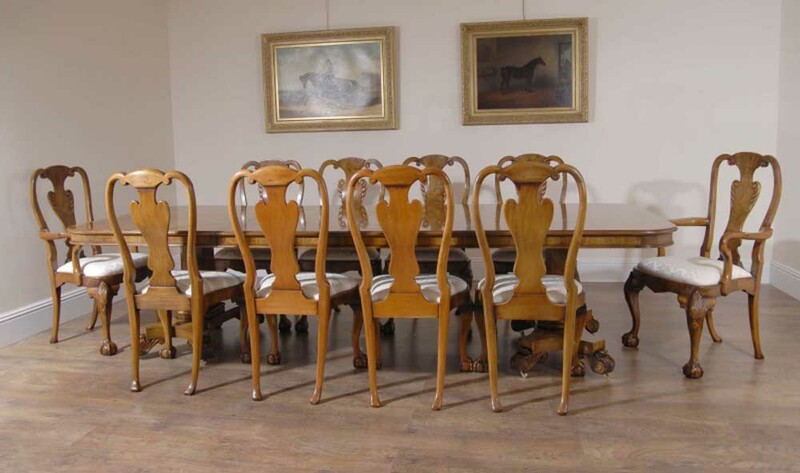 Chippendale Dining Chairs – Thomas Chippendale was a master English furniture and cabinet maker. His most famous creation was the Chippendale chair which is a design classic. Commonly they have ball and claw feet, although this set has straight legs. These are the ultimate chair – solid and sturdy, chunky and comfortable to sit in. 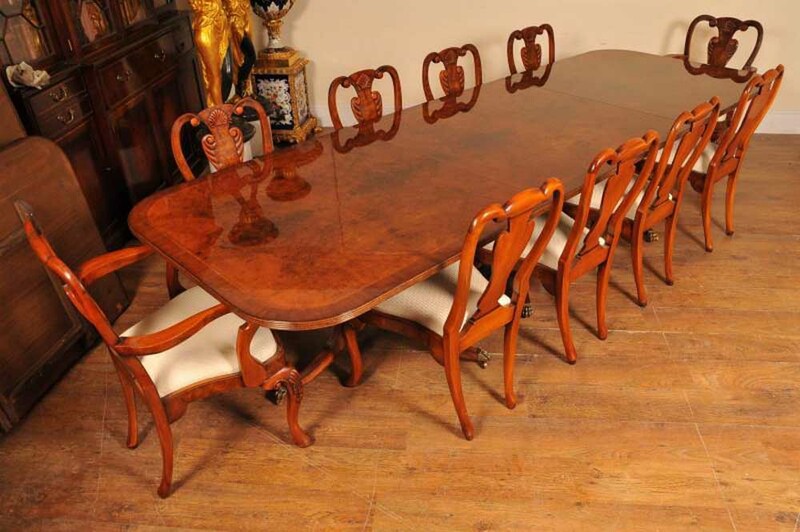 Victorian Dining Sets – we specialise in large upscale dining sets, so if you are looking for a complete dining suite please let us know. 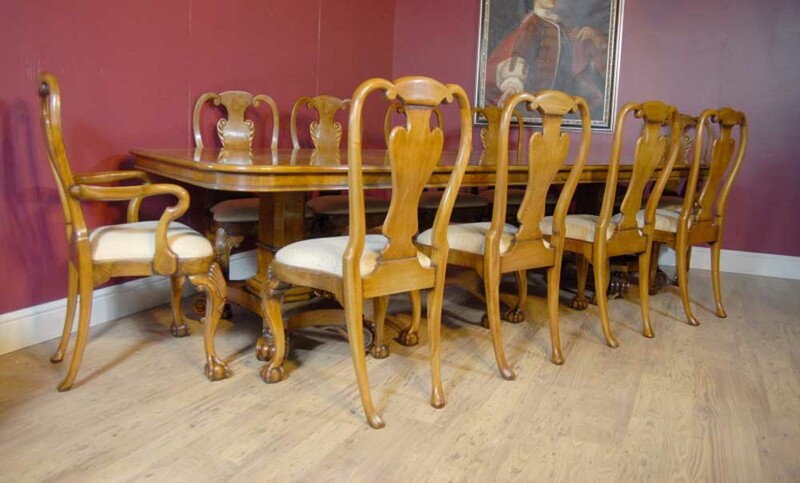 We have a whole range of suitable dining chairs to match – including Victorian, Regency, Chippendale, Queen Anne and a whole host of others, many of which can be tried out in our North London showroom. Nothing beats trying them out yourself for size and comfort.